Weekend in Phuket: "Never fall in love in Thai prostitute"
My body and brain needed a break from traditional Thai gym regime. I drove to Phuket for a weekend. My hotel? Oh, how good it was to have cold air and flushed toiled in the room. It was located in the old town. As soon as I checked in, I rented out a motorbike, which wasn't so easy as in other parts of Thailand ( will get to it later) and went to explore the island. It is big and divided into different areas. Place where I stayed was mostly inhabited by the locals and I liked it so. However, I could not resist the impression almost everyone has negative attitude towards the tourists. I had to talk motorbike rental owner round to give me a bike a bike to a day. Maybe it was when he sow bruises on my shins. These were obviously from hitting heavy bags. Seconds impression I got is that everyone here is trying to screw me over my whole money. I could not understood this negative attitude until I drove me up to Patong beach. Yes, I went there. It's a very vivid place. Next day I met up with the fighters from Berlin in their fighting village. 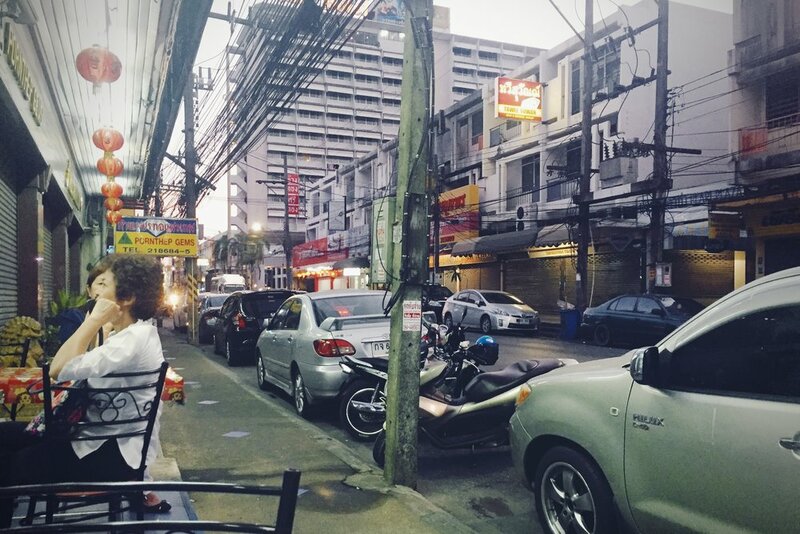 It's quite astounding how organised and accessible for foreign fighters (or even their yoga/cross fit girlfriends) has that one street of Phuket island became. Next up was Sunday fight night at the Bangla Stadium. I learned how Thai boys became a men in the ring and how "Farangs" miserably try to compete with Thai fighters. Overall Patong is a place where women get abused in a hotel room and men inside boxing ring. writing to you from an old, stinky 13h Bus to Bankok. Big Congrats to Ratachai Gym. Two KO wins in one night. How boys became men in Thailand.